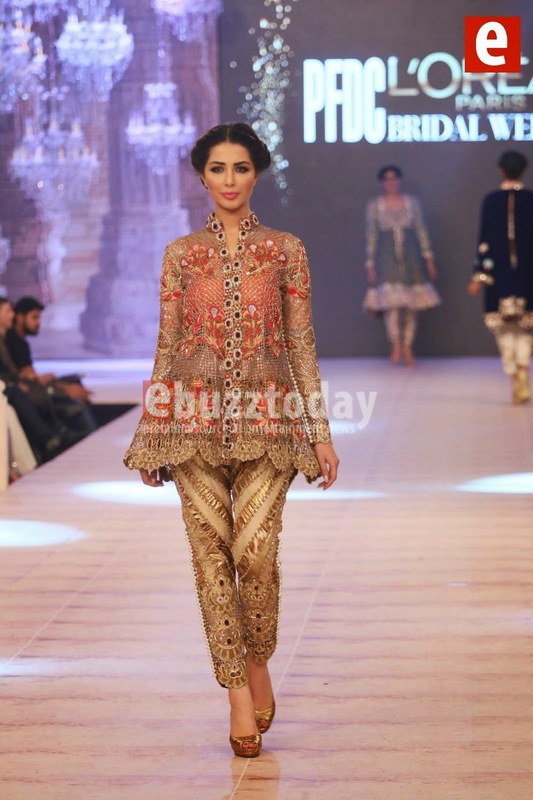 PFDC L’Oréal Paris Bridal Week 2014 took place in Lahore earlier this month and among all the heavily embroidered bridal lenghas, gowns and saris, one different trend I noticed was for short flared tops/dresses worn with fitted trousers. Read on to see how other designers are following this trend! This one's by Ammara Khan. I don't really like the shape or design of the top, but I like the detail on the trousers. 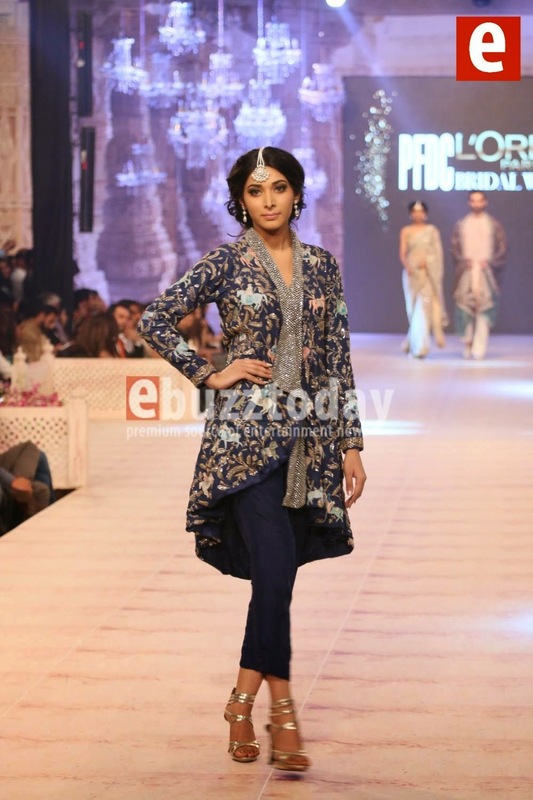 Nida Azwer's is one of my favourites, I like the way the high-low jacket drapes and that the trousers were kept plain rather than patterned. 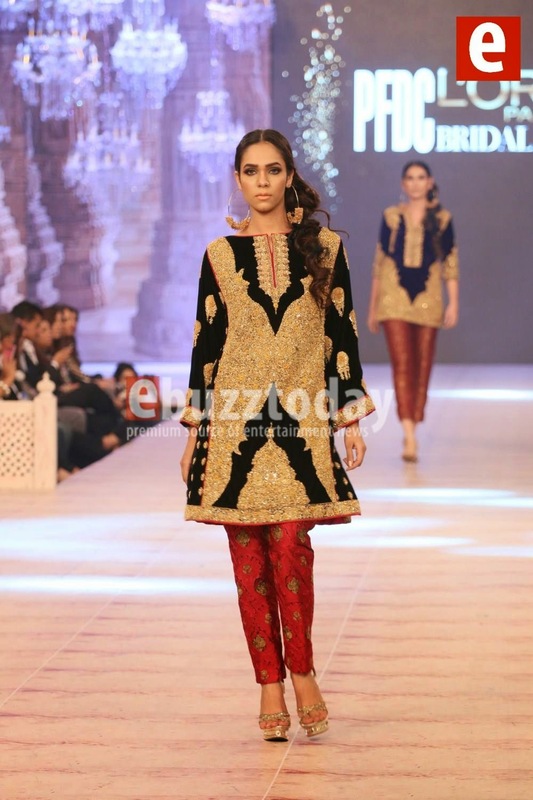 I love the pattern and colour contrast on this next look, by Zara Shahjahan. Now I'm not sure if it's the hair piece that makes me think this, but there's quite a boho/hippy vibe to this one. What do you think of this trend? 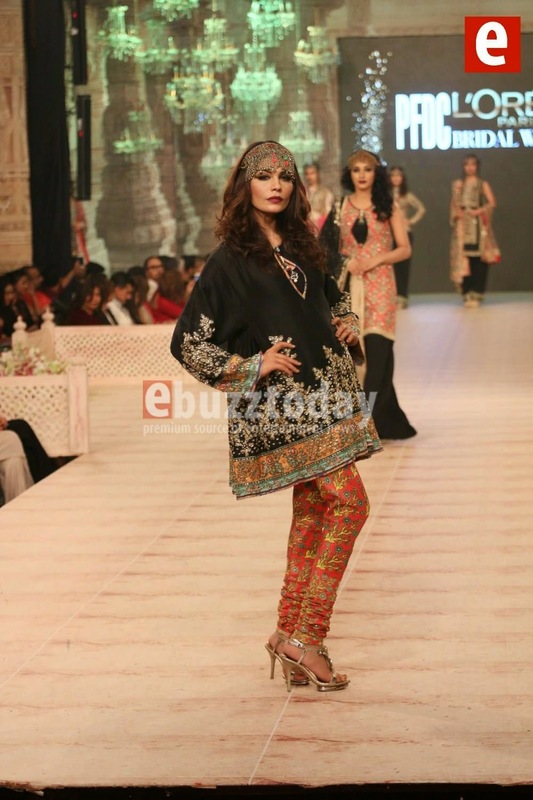 Would you wear something like this instead of the long flowing style dresses usually seen on the Pakistani catwalks? 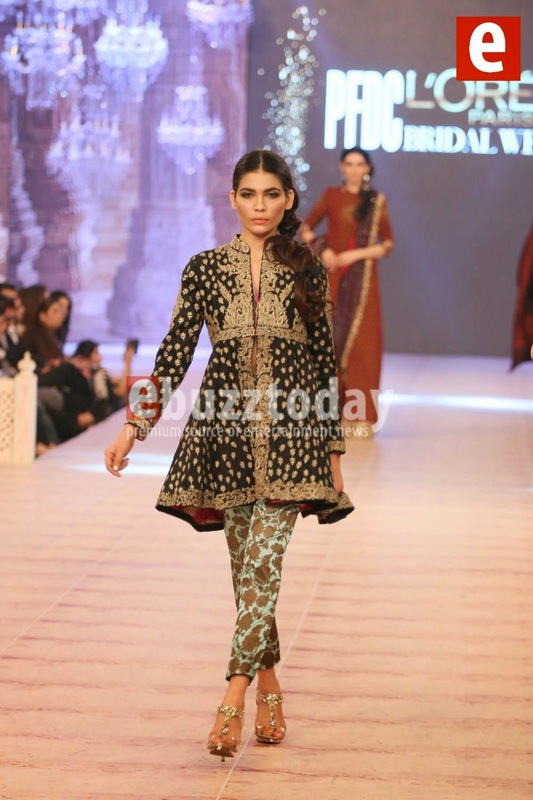 Check out the full collections from each designer over at Ebuzztoday.